Many homes in Boston were built over a hundred years ago, and renovated many decades ago, if they were renovated at all. Many homes renovated between the 1950s and the 1980s feature what has been called a popcorn ceiling. Even if you do not have a popcorn ceiling in your home now, you have likely seen one. They are created by spraying on or painting on a textured level giving it a popcorn-like look. There are a few claimed reasons this was done, from reducing noise from people walking above, which was helpful in any multi-family dwelling, to making it much harder to see any imperfections in the ceiling plaster or drywall. A large ceiling space, which is flat, will easily show off any imperfections in the material. The main reason, however, they were so heavily used is because they became very popular in the 1960s,and this continued until the late 1970s. The problem with ceilings today, aside from looking outdated, is the popcorn material was largely created with white asbestos fibers. This made it very dangerous to those who were painting the ceilings and many of these victims developed the deadly form of cancer known as mesothelioma decades later as it will typically take between 20 and 50 years for those exposed to asbestos to develop symptoms, forcing them to go to a doctor for a diagnosis. Once it was installed in the homes, it was not all that dangerous as it was covered with a thick layer of paint and the fibers were sealed in place. This is true for many asbestos construction materials once they were installed as our Boston mesothelioma injury lawyers can explain. As time passes, however, the popcorn ceiling will eventually start to breakdown and some of that asbestos material will flake off and fall to the floor. This is especially likely if people are walking on a floor above. While the asbestos material was not especially harmful when it was first installed, it is once again in a friable state, making it very toxic for anyone exposed to the home. This can often include small children, making matters even worse, as they may be likely to play with the fragments, or even eat them. 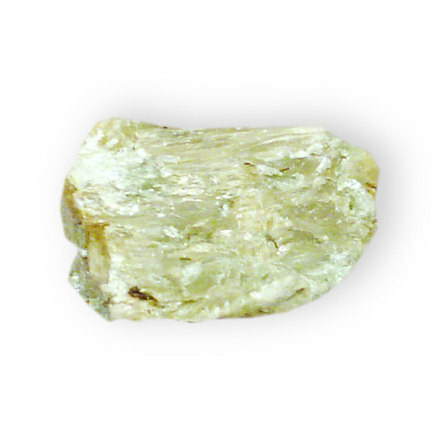 Friable is a term used for asbestos which is capable of being easily crushed. When it is in this state, it will give off dust. If that dust is inhaled, the fibers can become trapped in the body, where they will metastasize into malignant mesothelioma over time. According to a recent news story in the Littleton Patch, one local family became concerned about the crumbling state of their popcorn ceilings. To fix the matter, they hired a local handyman to scrape the ceilings so they could be repainted. The family told reporters they suspected the ceiling contained asbestos and wanted to remove it. The handyman allegedly scrapped the popcorn off the ceiling, leaving the asbestos residue all over their home and belongings, and then left the job. At this point, they called in a professional contractor, who told them they needed to have the materials tested to confirm the presence of asbestos fibers. The family then was told they did have asbestos in their home and needed to vacate the property immediately. They moved out and are currently living with relatives. The family then went to get an estimate for proper asbestos removal and were told just the cleanup portion of the job would cost them $30,000. They were told by their insurance company, this unlicensed removal attempt was not covered under their policy and the handyman has allegedly said he is not responsible either. The family has now started a crowd source funding campaign hoping they can raise the money to make repairs and get back in their home. In that jurisdiction and ours as well, asbestos abatement can only be performed by a licensed asbestos abatement professional who has received proper training and certification. All of his or her workers must also be properly trained in safe asbestos abatement practices and some of these workers must be certified themselves. This is taken so seriously because it is not only the workers and the homeowners who are put at risk by improper asbestos removal. If approved plastic barriers and HEPA vacuums are not used, the asbestos fibers can enter the air and poison anyone in the area. Asbestos fibers can also enter ground water, where they can intentionally poison people in this manner as well. What many people do not know is asbestos is not only deadly when inhaled; it can become trapped in the human body through ingestion as well. The most common method for ingestion is through contaminated water. When the fibers become trapped in a person through ingestion, the cancer can form in the stomach, where it is known as malignant peritoneal mesothelioma, as discussed in the Annals of Translational Medicine (ATM). While mesothelioma cases are considered rare in the statistical sense, a clear majority of cases occur in the pluera, which is protective layer of tissue found in the lungs. Mesothelioma which forms in the lungs is called malignant plueral mesothelioma, and as discussed by ATM, and accounts for over 85 percent of all cases diagnosed each year. This should come as no big surprise since most people are exposed to deadly fibers through inhalation. However, there are still around seven percent of cases each year that involve cancer forming in the abdomen, which are diagnosed as peritoneal mesothelioma. Mesothelioma can also form in the chest cavity, which is distinct from the lungs and when this occurs, it is known as malignant pericardial mesothelioma. Regardless of where the tumors form, they are all very deadly and can quickly spread to any other part of the body due to the aggressive nature of mesothelioma. One thing to keep in mind is even though most cases occur in the lungs, contrary to what many people think, mesothelioma is not the same type of cancer as we typically associate with smoking.